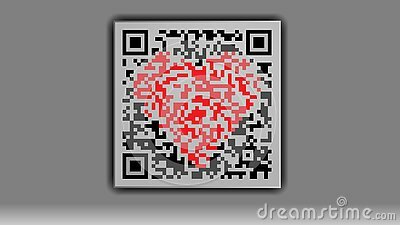 Qr code with a heart in the middle on a gray background. The code is scanned. The code contains a declaration of love and a marriage proposal. When publishing, consider this.